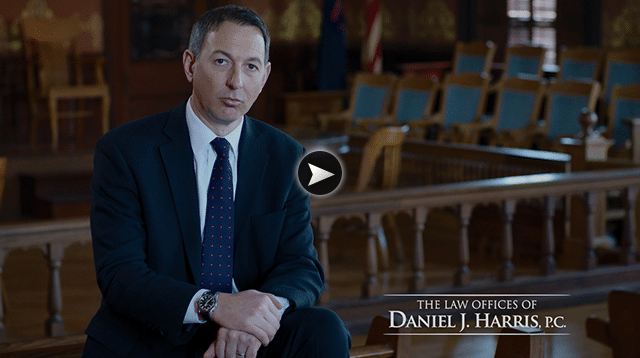 Dog Bites | The Law Offices of Daniel J. Harris, P.C. Dogs are wonderful-loving creatures, however, there are well over 4 million reported dog bites in the U.S. annually. This is not to say that your neighbor’s furry friend is actually “Cujo” in disguise, only that sometimes dogs can get scared or play too hard. Whatever the cause, accidents involving dog bites can be particularly scary. Bacteria, disease, and external damage are all worrisome factors when recovering from the initial shock of the incident, not to mention the fear of it happening again. Seeing as how only a small percent of dog bites are reported to authorities, it’s clear to see the frequency at which events like these can occur. Despite the best efforts of people and pet owners, accidents involving dog bites can create more than just physical damage. At The Law Offices of Daniel J. Harris P.C., we have handled countless cases involving a canine-related injury. Our team has worked decades to learn exactly how to approach sensitive situations like these. Whether the dog was a friend, or a stranger with a temper, we will fight aggressively for the compensation you deserve. Although most cases involving a dog-related injury revolve primarily around minors, it can happen to anyone. A case like this requires someone who can properly recognize the delicacy of a situation, while remaining steadfast in the pursuit of justice. Cases involving minors, no matter what the circumstance, are automatically viewed with a special degree of consideration, but rest assured any victim of such an unfortunate accident will be taken care of appropriately. At The Law Offices of Daniel J. Harris P.C., we want to help you. Period. No obligation. By establishing a No Win – No Fee Policy, we can reassure you, our client, of the sincerity of our efforts to pursue your case with the utmost ferocity. By choosing us, you are choosing a superior sense of integrity. If we can’t get you exactly what you deserve, you don’t owe us a thing. At The Law Offices of Daniel J. Harris P.C., we are committed to relieving some of the burdens related to legal proceedings. By trusting us, you can sleep tight knowing that you have someone qualified on your side. If you or someone you know has fallen victim to a situation involving a dog bite, do not hesitate to call or visit one of our local offices. We operate all across Michigan assisting clients with a wide variety of legal services.